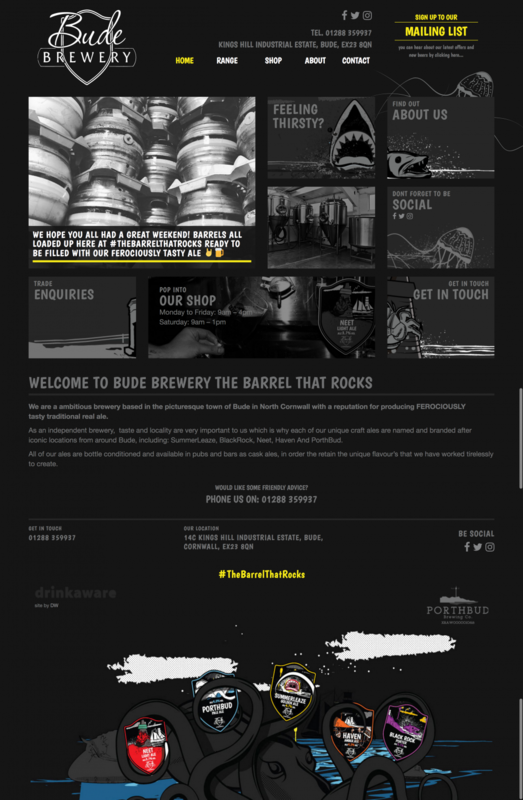 As an independent brewery, standing out is very important which is why Bude Brewery approached me to produce a website that was a bit different to that of other breweries. The main aim of the website was to let the content and quality of the brewery’s products speak for themselves. Combining a Windows 7 style interface with the companies’ unique label designs, enabled me to create an easy to understand interface from the outset and inspired this unique website design. Clever use of space and the simplistic implementation of a tiled navigation, allowed me to place emphasise on the stunning ales named and produced after iconic locations in and around Bude. Small touches of functionality were also added to give the tiles some life, such as the live feed from their Instagram page. Whether your looking for custom graphics such as the assets you can see in the Bude Brewery designs or a unique website design,you can contact me for any of your Cornwall website design needs.